NORWOOD, ROBERT WINKWORTH, Church of England and Protestant Episcopal clergyman, poet, and author; b. 27 March 1874 in New Ross, N.S., third child of Joseph W. Norwood and Edith Matilda Harding; m. 12 Sept. 1899 Ethel Cornelia McKeen (McKean) (d. 1959) in Baddeck, N.S., and they had a son, who predeceased him, and two daughters; d. 28 Sept. 1932 in New York City. Had soul and was most intimate with me. However, the family’s frequent moves hindered his early education. He was taught by his mother and attended various schools, including Coaticook Academy in Coaticook, Que. (1889–90), before taking a preparatory course in 1890–91 at Bishop’s College in Lennoxville (Sherbrooke). The following year Norwood entered the University of King’s College in Windsor, N.S. He struggled initially because of an inadequate grounding in classics and mathematics. Lack of funds forced him to withdraw in June 1893, and he went to work as a lay reader in the parishes of Jeddore and Ship Harbour. He returned to King’s in November 1894 and obtained a ba three years later, followed by an ma in 1904. The university would bestow on him a dcl in 1921. Other honorary degrees would be awarded by Acadia University in Wolfville, N.S., the University of Pennsylvania, Rollins College in Winter Park, Fla., and Union College in Schenectady, N.Y.
Norwood’s years at King’s were fruitful. His ebullience and self-confidence soon attracted attention. He made lifelong friends, including Charles William Vernon and Charles George Douglas Roberts*. 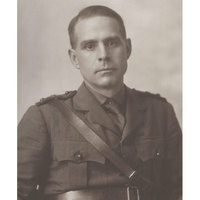 Vernon, his room-mate, was a fellow member of the school’s literary club, the Haliburton, which was led by Roberts, their professor of English, until he left the institution in 1895. Roberts recognized Norwood’s talent and offered him access to his personal library. Norwood’s poverty prevented him from attending student functions; he would instead spend evenings reading books in his professor’s home. Like many of his contemporaries at the college, Norwood idolized Roberts, whose poetic vision of the immanent presence of the Divine had a lasting influence on Norwood’s own writing and theology. At a 1930 reunion he would state, “My success in life is due to Charles Roberts.” He retained an affection for his alma mater, and it was in the chapel there that he would deliver what proved to be his last address, at the unveiling of a tablet in memory of his mother on 25 Sept. 1932. Upon his graduation from King’s, Norwood read for orders and was ordained deacon in the Church of England in 1897 and priest in 1898. He was sent to serve St Andrew’s Mission at Neil’s Harbour, an isolated Cape Breton fishing village, where he gained a reputation for toughness and pugnacity. In 1898 he and Vernon privately published Driftwood: “virginibus puerisque,” a collection of their poems, which reflects the influence of Roberts and William Bliss Carman*. It was during this time that Norwood met and married Ethel McKeen. 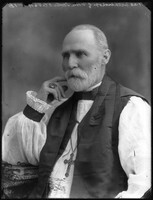 After assisting his father at Hubbards Cove for a year, he became curate of Holy Trinity Church, Bridgewater (1900–1), and then its rector (1901–6). He spent 1906–7 pursuing an ma in philosophy at Columbia University in New York City, but his financial resources did not allow him to finish. He returned to Nova Scotia as rector of All Saints’ in the coal-mining town of Springhill. In 1909, thanks in part to the Reverend John Macpherson Almond, with whom he had become friends when his father served in Shigawake, Que., he was appointed curate of Trinity Church, Montreal, where Almond was rector. 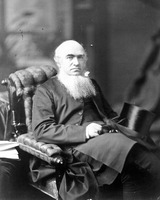 Three years later he moved to London, Ont., as incumbent of Cronyn Memorial Church, which was named after Benjamin Cronyn*, the first bishop of Huron. By this time Norwood had arrived at the theological views that inspired the poems in The piper and the reed (1917). His ideas were later developed in a study of St Paul, The heresy of Antioch (1928), in a novelistic examination of the life of Jesus, The man who dared to be God (1929), and in four collections of sermons and meditations, The steep ascent (1928), His glorious body (1930), Increasing Christhood (1932), and The hiding God: divinity in man (published posthumously in 1933). Norwood voiced his belief in the progressive nature of revelation in a number of dramatic monologues published in 1918 as The modernists. The “modernists” were individuals, ranging from the Cave Man to Charles Darwin, who had furthered the march towards knowledge. Norwood’s conviction that humanity was on an upward spiritual journey extended to the individual soul. 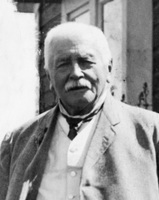 He was attracted to metempsychosis, and comments he made from the Cronyn pulpit in favour of spiritualism led to much public controversy and criticism in 1917, including a complaint sent to Bishop David Williams. 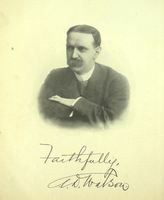 Norwood participated in seances conducted by his friend and biographer Albert Durrant Watson*, although he later claimed to have been unimpressed by them. Norwood’s magnetic oratory and his unconventional message made him a success at Cronyn Memorial. In March 1913 his salary was raised from $2,600 to $3,000 because the church was filled every Sunday. During his years in London, he formed a close friendship with Victoria Grace Blackburn*. She assisted him with his poetry, and together they examined Richard Maurice Bucke*’s Cosmic consciousness: a study in the evolution of the human mind (Philadelphia, 1901), which Norwood greatly admired. In 1915 a legacy made possible the publication of His lady of the sonnets, a collection dedicated to his wife. The sonnet sequence of the title recounts the vicissitudes of a romantic relationship. The volume, much of which had been written years before, contains other sonnets and lyrics. As in all of Norwood’s poetry, the effect is uneven. His genuine lyric gift is vitiated by sentimentality, and the tendency to preach is never far from the surface. These strengths and weaknesses are exemplified in his later narrative poem, Bill Boram (1921), about a rough Nova Scotian fisherman who is redeemed by beauty. A collection entitled Mother and son (1925) was inspired by the death in 1924 of his son, Robert Edmund (Ted), in a hunting accident. Norwood also wrote two poetic dramas on biblical themes: The witch of Endor (1916), which is dedicated to Blackburn, and The man of Kerioth (1919), Norwood’s version of why Judas Iscariot, “the man of Kerioth,” betrayed Jesus. Norwood’s plays are more interesting for what they reveal about his theology than as works of art. In 1917 representatives of the Memorial Church of St Paul, Overbrook in Philadelphia travelled to London to visit Cronyn Memorial but encountered an overflow crowd that prevented them from attending. According to a local newspaper, it was on that basis alone that the delegates recommended Norwood to their parish. Later that year Norwood and his family moved to Philadelphia. He remained there until he was called in 1925 to St Bartholomew’s Church, New York City, a centre of theological modernism in one of the largest and wealthiest parishes in the Protestant Episcopal Church. His seven years at St Bartholomew’s were remarkably successful, and his sermons regularly drew more than 1,000 to the sumptuous, although unfinished, Romanesque Revival building on Park Avenue. Under his direction the church would be completed in 1930. He was also the driving force behind the erection of St Bartholomew’s Community House, which contained a swimming pool, gymnasium, theatre, and other facilities designed to meet the social needs of the young white-collar workers who were migrating to the city in great numbers. Norwood’s generous salary freed him from financial anxiety and allowed him to build a substantial new summer home in Hubbards Cove, which he and his wife named Tedholm in memory of their son. Traditional theology was, for Norwood, an impediment to religious faith in the 20th century. 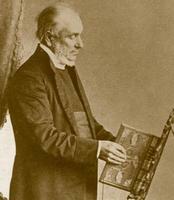 He identified with the theological modernists, who, in the words of Leighton Parks, his predecessor at St Bartholomew’s, were “inspired by a desire to bring the tradition of Christian belief and practice into close relation with the intellectual habit and social aspiration of our own time.” In a 1927 sermon Norwood remarked, “I will be perfectly frank and admit I say the Apostles’ Creed only because I am expected to say it.” A decade before, he had told his congregation in London that the Nicene Creed was irrelevant to the modern age, and he dismissed those who relied upon formularies. “The Nicean [sic] creed … was an attempt to make people think in terms of Alexandria rather than London, Eng. or New York,” he was reported as saying. “The relations of the father and son in explaining the personality of God was simply a mystical metaphor. The difference between the orthodox and unorthodox man was that the orthodox man quotes texts and the unorthodox thinks” (London Free Press, 25 June 1917). The New York Times reported on other controversial statements: he called Americans “the rudest people on the face of the earth!” in an address to a women’s group (30 May 1926), he publicly attacked Prohibition (14 Feb. 1932), and when parishioners criticized him for not visiting them in their homes, he defended himself from the pulpit, saying that his duties made it impossible for him “always to be ringing doorbells” and it was up to them to decide whether they wanted a preacher or a parish visitor (11 April 1932). Despite the demands of his position, Norwood still made time for poetry. He, Roberts, and Carman were benevolent presences behind journalist Andrew Doane Merkel*s creation of a poetry group, the Song Fishermen. Based in Hubbards Cove, they published their “catches” under the title The Song Fishermen’s song sheet; the first in the mimeographed series appeared in 1928. Merkel was a long-time friend; as a child he had been sent to stay with the Norwood family after his clergyman father’s death. It was through Merkel that Norwood had met the poet Kenneth Leslie*, a close friend who was greatly influenced by him, as well as Charles Tory Bruce, whose poetry he admired and promoted with typical enthusiasm. He also watched over his former mentor. When at age 70 Roberts’s health failed because of hypertension, his wife’s death, and financial distress, Norwood brought him to New York for a prolonged rest. Despite Norwood’s energy and youthful appearance, he was not well. He had high blood pressure and, beginning in 1925, was afflicted by a series of illnesses, nearly dying in June 1932 from nasal bleeding. After a period of convalescence, he spent the rest of the summer cruising the coast of Nova Scotia in his newly constructed motor yacht with Merkel and others. At the end of his holiday he claimed to be rejuvenated, telling those in his circle, “I’m going back to demonstrate there is no truth in the old adage, ‘The good die young’” (New York Times, 30 Sept. 1932). Within a day of his arrival in New York he was felled by a cerebral haemorrhage; he was 58. His funeral at St Bartholomew’s was attended by 2,200 people. Afterwards his wife and daughters accompanied the body to Hubbards Cove, where Norwood was buried beside his son in the cemetery at St Luke’s Church. At the service, the qualities in Norwood’s personality that drew so many to him were well expressed by John Plummer Derwent Llwyd, dean of Nova Scotia: “I never knew a man in whom the power of heart was more marvelously developed. We mourn him not only on account of his personal charm, not only for his intellect, and the splendor of his achievements, but because of the man himself” (New York Times, 5 Oct. 1932). Robert Winkworth Norwood is the co-author, with C. W. Vernon, of the poetry collection Driftwood: “virginibus puerisque” (North Sydney, N.S., 1898). 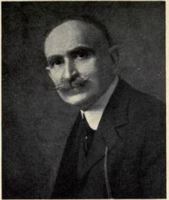 Norwood’s collections of poetry, narrative poems, and poetic dramas are His lady of the sonnets (Boston, 1915), The witch of Endor: a tragedy (New York, 1916), The piper and the reed (New York, 1917), The man of Kerioth, intro. Robert Johnston (Toronto, 1919), Bill Boram, foreword Grace Blackburn (New York, 1921), Mother and son (New York, 1925), and Issa (New York and London, 1931). He wrote a series of dramatic monologues, The modernists (Toronto, 1918), a study of St Paul, The heresy of Antioch: an interpretation (Garden City, N.Y., and New York, 1928), and a novelistic examination of the life of Christ, The man who dared to be God: a story of Jesus (New York and London, 1929). Four collections of sermons and theological meditations were also published, one of them posthumously: The steep ascent: noontide meditations (New York, 1928), His glorious body (New York and London, 1930), Increasing Christhood (New York and London, 1932), and The hiding God: divinity in man (New York, 1933). St Bartholomew’s Church (New York) owns a portrait of Norwood by Pierre Troubetzkoy as well as a bronze memorial bust by Elizabeth Randolph Gardner, which was unveiled in the cloister on 17 Jan. 1935. The Univ. of King’s College (Halifax) has a portrait by Joshua Smith. In 1934 the Anglican church in Hubbards Cove (N.S.) installed a memorial organ, choir stall, and pulpit in honour of Norwood and his brother, Edmund Bambrick, a physician who had served the community for several years until his death from influenza in late 1918. The author wishes to thank Elizabeth Dickson for drawing to his attention the 16-millimetre film footage of the Song Fishermen and of Norwood, taken by Andrew Doane Merkel; it is held at LAC, R8349-0-6 (Mary-Elizabeth Lynch coll. [moving images]). For providing the New York Times death notice (12 Feb. 1959) for Norwood’s wife, Ethel Cornelia McKeen, the author wishes to thank Kenneth A. MacKinnon, professor emeritus of English, St Mary’s Univ. (Halifax). For their assistance, the author is grateful to St Bartholomew’s Church archivist Percy Preston Jr, archivist Anna M. Grant of Arch. and Special Coll., Bishop’s Univ. (Sherbrooke, Que. ), and Karen E. M. Smith, Special Coll. librarian, Killam Memorial Library, Dalhousie Univ. (Halifax). The author also thanks Walter and Joanne Thompson, the owners of the former Norwood cottage in Hubbards Cove, for sharing their knowledge and the documents in their possession. They have taken care to preserve the space; the name “Tedholm” is still seen on the living room fireplace. Dalhousie Univ., Killam Memorial Library, Special Coll., Nova Scotia creative writers coll., Robert Norwood, 1874–1932. Andrew Merkel, “Life of Robert Norwood, outstanding preacher, poet, recalled by writer,” Halifax Herald, 1 March 1947. New York Times, 12 May 1926; 19 June, 30 Sept., 2 Oct. 1932; 20 Aug. 1934. E. C. Chorley, The centennial history of Saint Bartholomew’s Church in the City of New York, 1835–1935 ([New York], 1935). Gwendolyn Davies, “The Song Fishermen: a regional poetry celebration,” in her Studies in Maritime literary history, 1760–1930 (Fredericton, 1991), 163–73. Makers of Canadian literature, ed. L. A. Pierce and Victor Morin (13v., Toronto, –41), A. D. Watson, Robert Norwood, . Henry Roper, “A ‘high Anglican pagan’ and his pupil: Charles G. D. Roberts, Robert Norwood and the development of a Nova Scotian literary tradition, 1885–1932,” Dalhousie Rev., 75 (1995): 51–73. Standard dict. of Canadian biog. (Roberts and Tunnell), vol.2. Henry Roper, “NORWOOD, ROBERT WINKWORTH,” in Dictionary of Canadian Biography, vol. 16, University of Toronto/Université Laval, 2003–, accessed April 25, 2019, http://www.biographi.ca/en/bio/norwood_robert_winkworth_16E.html.